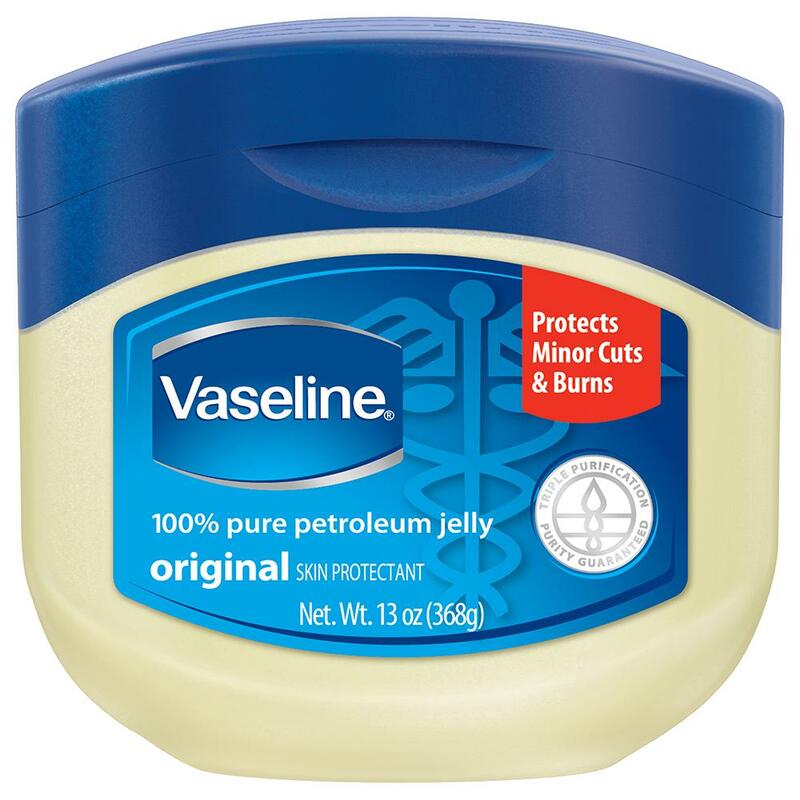 For decades, petroleum jelly has been one of the most important things in our medicine cabinets. From being a go-to healer for burns, the benefits of this product has grown exponentially over years. It became our first aid treatment for diaper rash and an effective reliever for chapped skin. Today, petroleum jelly plays a very important role in our beauty regimens. Every woman knows that Vaseline is one of the essential things whether in her travel kit or in her makeup shelves. In fact, despite the existence of many moisturizing products in the market, Vaseline continues to be our top pick for all our skin treatment needs. Aside from its numerous uses, Vaseline is also less expensive compared to other products with moisturizing and lubricating properties. It’s also very safe for all skin types, so you don’t have to worry about having skin issues and side effects after using this product. If you’re wondering what other uses of Vaseline are, read on and let us enumerate to you what are other things that this product can do aside from relieving cuts and burns. So, today I am sharing you my favorite uses of Vaseline. When my lips get all dry and chapped, I slather a thin layer of Vaseline on my lips. The good thing about this product is that I don’t have to wait long to see the effects. My lips are all soft and moisturized again after applying Vaseline. Winter weather causes dryness on the skin. I apply some Vaseline on my hands and feet, put on either gloves or socks, and wait about 15-20 minutes to give Vaseline time to soak into the skin. When I take my gloves or socks off, my hands and feet are soft. This product is indeed a good moisturizer not only for the face, it does work wonders even in the other parts of the body. Who says we need to spend a lot of money on eye makeup remover. Vaseline is effective in removing eye makeup, so forget about buying expensive products to remove stubborn eye-shadows. Aside from the fact that it’s safe to use, it is also easy in the pocket. If you like to use a good scrub, then you can make your own scrub by mixing petroleum jelly with sea salt. This will not only help you save money, it will also give you peace of mind knowing your body scrub is free from any type of chemical. Before painting my nails with nail polish, I always put Vaseline first. It serves as the base of my nail polish and prevents the nail paint color from running. Vaseline makes an ideal highlighter as well, so next time you ran out of a highlighter, don’t worry because this product can save the day. It works on any skin tone, too. Just put Vaseline on your cheeks and under eye area for that dewy look. Dry and rough elbows can be irritating, but you don’t have to buy expensive ointments to resolve that problem. Just apply some Vaseline over it and you’ll immediately feel that your elbows are soft and smooth after just a few minutes. Some perfumes smell gorgeous but they do not last long. Rub Vaseline on your pulse points before spraying your perfume to make the scent last longer. I like to exfoliate my lips before using any lipstick. First, I apply petroleum jelly on my lips, wait for few minutes and then use an old toothbrush to scrub them. It’s very effective in making my lips soft and smooth again. If I don’t have the right blush shade in my makeup bag or I am running out of my favorite blusher, I just mix some Vaseline with a bit of pink or orange lipstick and apply the paste on my cheeks. Keeping my brows in place all day is perhaps one of my most favorite things about Vaseline. I just put on some Vaseline over my brows to keep unruly eyebrows look great. Stains from makeup do not bother me anymore since I discovered that Vaseline can effectively remove stains from any type of fabric. Whenever I see stains on my clothes, all I have to do is rub some Vaseline on it and the stains will be gone in seconds. Just put some Vaseline on your split ends. It will seal them and make them look like they aren’t there. But try to don’t do this too often because it will make your hair wet and oily. You may do this beauty regimen when you’re not planning to go outdoors. Before applying mascara on your eyelashes try to put some Vaseline over it because it will give you a false eyelash look. How about you? What are the other uses of Vaseline for you? If there are other uses of Vaseline that I have not mentioned in this article, please share by leaving comments below.